Six Fender/Schaller American Series staggered gold, enclosed, high-quality individual tuners. All mounting hardware is included. You've asked for it, you got it. 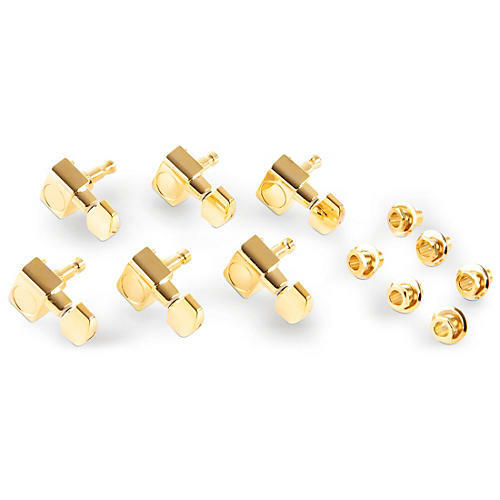 Fender packaged some of their most requested gold hardware to help you add a touch of class to your favorite guitar or bass. All hardware is made for Fender, built to their specifications with heavy-duty gold plating for extended wear.